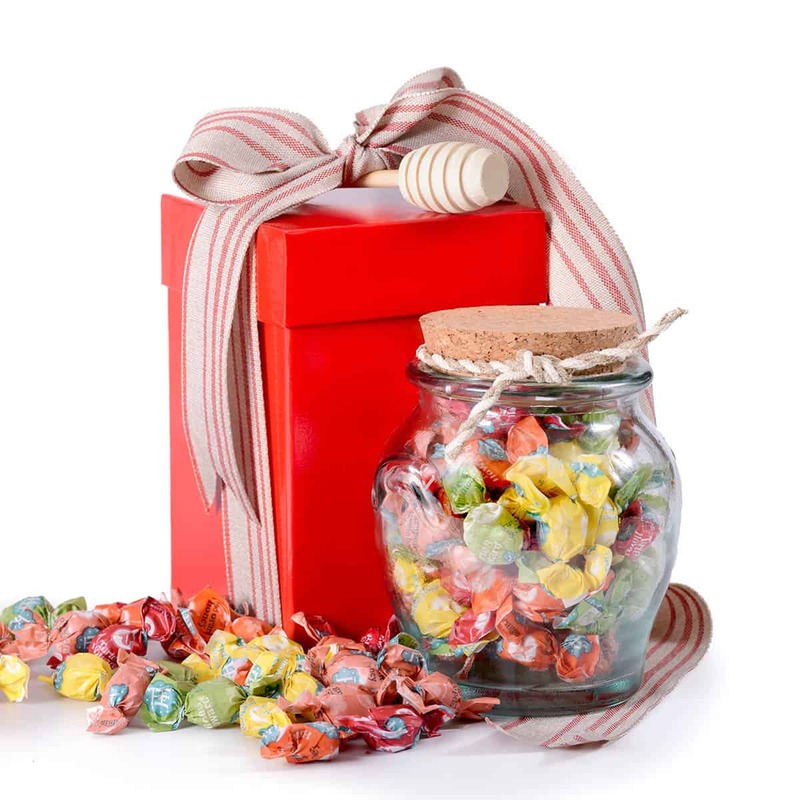 Treat them to a truly sweet new year with this fabulous glass candy jar that doubles as a honey pot. Each arrives filled to the brim with individually wrapped organic candies in 5 distinctive flavors: pomegranate and nectarine; d’anjou pear and cinnamon; blood orange and honey; pink grapefruit and tupelo honey; and meyer lemon and raspberry. Free of artificial food dyes, nuts, GMOs, corn syrup, gluten, wheat, casein, soy, and dairy, these candies are award-winning. Arrives in a gift box with a wooden honey dipper. • Includes a free gift card with your personal message or greeting.